Black Country Communion have revealed more details about their forthcoming new album. Due October 30, the band has confirmed it will be titled “Afterglow,” and have posted the cover artwork. 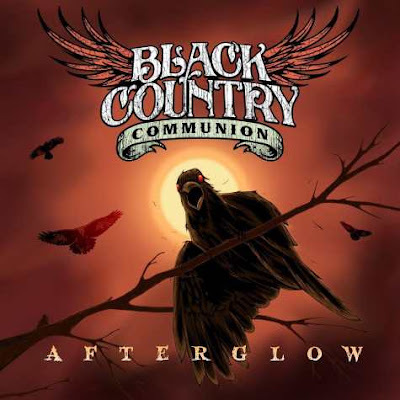 Black Country Communion is made up of bassist/vocalist Glenn Hughes (Deep Purple, Trapeze, Black Sabbath), blues rock guitarist/vocalist Joe Bonamassa, drummer Jason Bonham (Led Zeppelin), and keyboardist Derek Sherinian (Dream Theater). “Afterglow” was produced by Kevin Shirley, who also worked on the band's first two efforts. Hughes says fans can expect the familiar BCC sound, established with the band’s first two albums, but that the group has stretched out into new areas, as well.